Hey babes! Boozyshop was doing a Milani sale a while ago and I had never tried any of their products so I bought some to check out the brand! 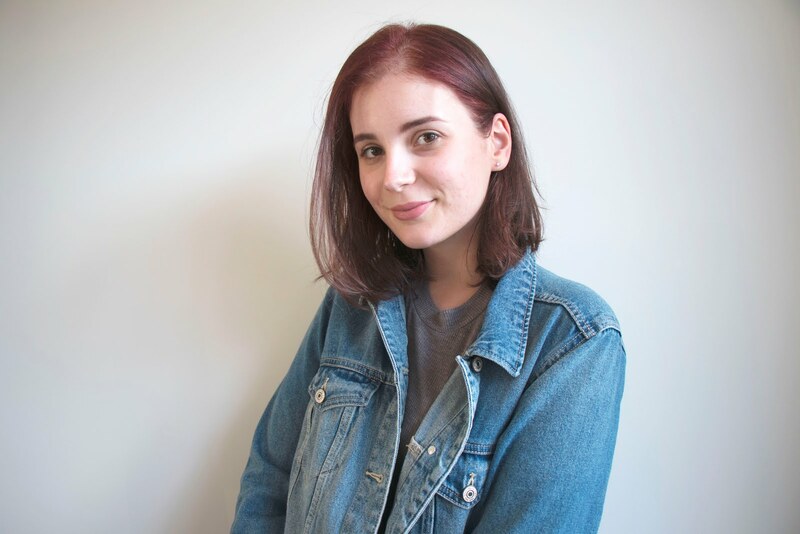 The first product I tried was a Baked Bronzer in the colour 'Glow'. This is a pretty nice bronzer, it's maybe a little bit too orange for my skin colour but I'll definitely use this some more in the summer. I don't really like the glitter though. This baked blush in Berry Amore also has some glitters which I don't like but they aren't too noticable and the colour is very pretty. This could be used on a more natural day when you don't want to use bronzer, blush & highlight. This gives a nice, warm and shimmery overall look. 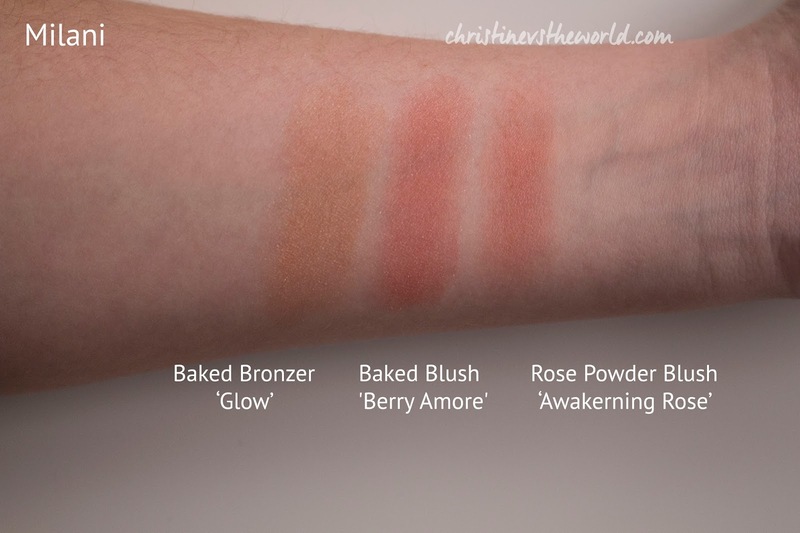 This rose powder blush in Awakening rose swatches as a similar colour but without the glitters. It's still not completely matte it has a little shimmer but I don't mind. I almost don't want to use this blush because it's so beautiful. I've actually really been loving this colour lately! These colours are very warm in daylight which I like during the winter because I am very fair. I think this is great for a winter look with flushed cheeks. The Rose Powder blush is a little less pigmented but very buildable. The last product I got is this brow kit in the colour Dark. I love the brow colours, they match me perfectly but I'm not the biggest fan of the highlight. It's a little dark for me personally. It's not as pigmented as I would like and on my skin colour, not very subtle either. I like the brow brush, it's very simple but easy to use, the highlight applicator is very basic but again, it works well enough. I would prefer a spooly (brow brush) in here because I have my own tweezers that I like and I don't like using little ones like this. I'll probably continue using this brow kit every once in awhile but I still prefer my NYX brow kit. 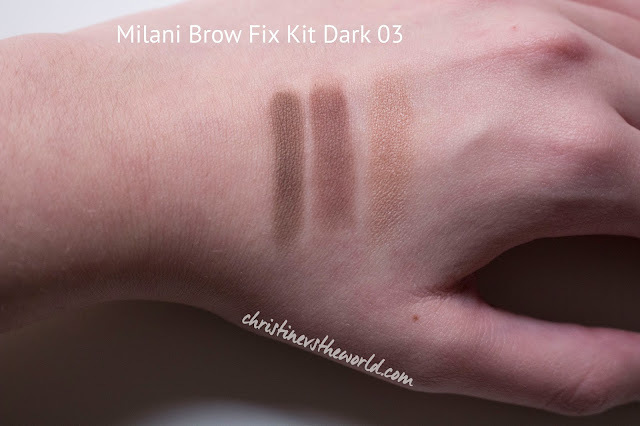 I'm not really convinced that Milani is a brand for me, I think it's great for people who want to achieve very bronzy looks and maybe not for oily skin types because of the shimmer. But the pigmentation is great and the colours are very pretty as well! Omg I just love that powder blush! The color, the packaging,.. Just perfect!